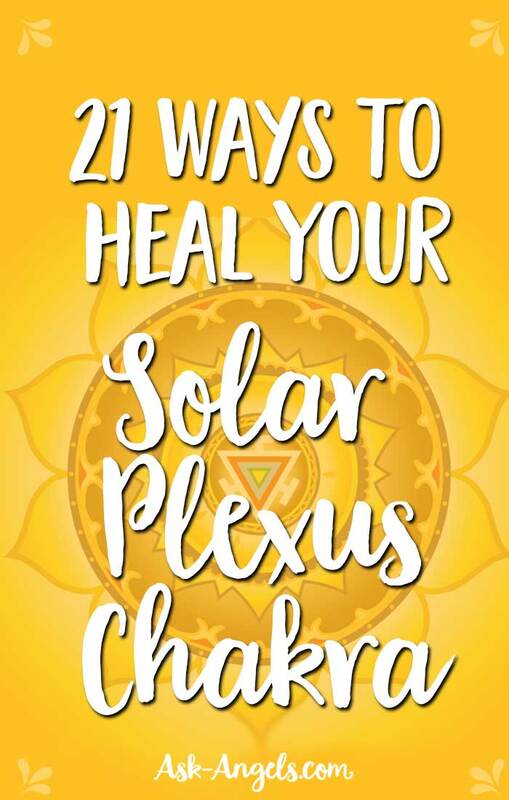 The solar plexus chakra otherwise known as the Manipura chakra, the “dwelling place of jewels” or “the shining gem” in the Vedic tradition, is scientifically known as the celiac plexus. The Solar Plexus is scientifically observed as a complex nerve network located in the abdomen. While spiritually, this nerve plexus center is seen as a spinning wheel, or a sacred disk of energy. What is the Function of the Solar Plexus? The solar plexus chakra is the energetic center within your body associated with willpower, self-worth, self-belief, self-discipline, and personal power. When centered and in balance, it empowers you to express the authentic truth of your personality and identity. Confidence, metabolism, effectiveness, and will power are all impacted by your solar plexus. And interestingly, it is a commonly blocked chakra for many people. The solar plexus chakra is located just below your rib cage, and about 2 inches above your navel. The Solar Plexus chakra is one of seven chakras within the physical body, that together act as anchor points for the etheric energy (also sometimes called chi, qi, prana or life force energy). 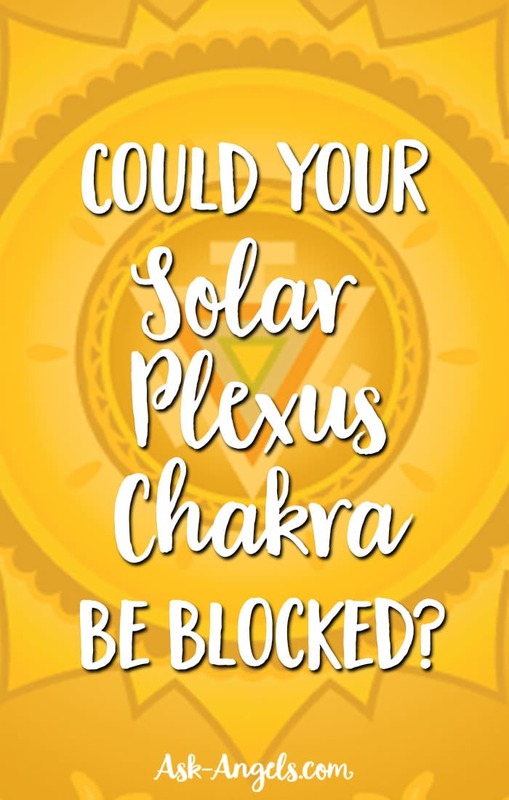 What Causes Your Solar Plexus Chakra to become blocked? It’s easy for the solar plexus to become blocked because of the many overwhelming options life throws at you. When you don’t know what you want, when you’re fearful of making wrong decisions, when you need input and buy-in from others to move forward, this chakra gets blocked. Sometimes the symptoms of chakra blockage can be subtle, but not so much with the solar plexus chakra. It’s often easy to see and tune into once you’re aware. If you lack confidence, if you struggle to make things happen for yourself, if you feel like you’re always being pushed around by others, if you’re waiting for someone to offer you a leadership role, or if you’re exhausted from always trying too hard, it’s likely that your solar plexus is blocked. You can also see when your personal power chakra is blocked if you generally feel unworthy, you constantly second guess yourself, you carry a strong sense of victimhood, and you feel powerless against the wants and needs of the people in your life. An excess of energy in the solar plexus leads to overeating and general overindulgence in things. Laziness, a need to control, intolerance, and competition are more signs of an excess of energy in the solar plexus chakra. An energetic deficiency in the solar plexus manifests as low body weight, lack of focus, and digestive problems like ulcers or indigestion. Deficiencies in the solar plexus often mean that you struggle to represent yourself honestly. You may have difficulties knowing yourself and what you really want. With a blocked or out of balanced solar plexus chakra, you’re not able to define your will or direction and therefore procrastinate on major life decisions. What Does A Balanced Solar Plexus Look Like? A balanced solar plexus is also easy to identify. When your solar plexus is balanced, you feel rooted in yourself, you have the fire to manifest what you want, to set healthy boundaries and you have a clear sense of self. With a balanced solar plexus, you are able to control your emotional responses, you feel peace within yourself, you trust the direction that your life is heading in, and you’re decisive and effective at reaching goals. Physically your digestion is sound, your immune system is strong, and your overall health is vital without frequent illnesses or allergies. With your solar plexus balanced, your relationship to power is also balanced. You don’t feel the need to dominate others and you don’t allow yourself to be dominated. This leads to the natural phenomena of assuming leadership roles. Additional traits of a balanced solar plexus chakra include people tending to admire you for your positive self-esteem and your ability to speak your mind without being aggressive. What’s great is that your example naturally encourages others to do the same. Others see you as charismatic and love spending time with you when your chakras, and especially your solar plexus are clear and balanced. Use visualization to energize the solar plexus area of your body. Imagine a vibrant yellow flower or yellow orb of light sitting just below your rib cage. Close your eyes, relax, and hold the visualization for five to ten minutes. Sit in stillness for some time and invite your fear to show itself to you. Love the part of you that is afraid and allow the fears that arise from within you to simply be. Do a solar plexus chakra meditation, sit, and breathe, strive to tolerate whatever sensations arise, and then acknowledge them, love them and release them. This allows the fearful part of you to integrate with the whole. Flowers like dandelions, daffodils, honeysuckle, chamomile, and black-eyed susans can help you to balance your solar plexus chakra. Meditate on these flowers, smell them, or look at pictures of them to tune into their healing properties. Practice affirmations to balance your solar plexus chakra like: “I love and accept myself just as I am, I respect myself, I believe in myself, I am worthy of love, I can accomplish anything I desire, I can solve all problems that come up. I am capable. I am confident. I am assertive”. Laugh! Choose to laugh out loud for no reason, watch a funny cat video on youtube, a comedy show, or spend time with people you find to be funny. Not only does laughter make you feel good while elevating your vibration, it’s fun, and it brings healing and balance to your solar plexus! Invoke the help and presence of Archangel Uriel, the Archangel of the Sun and ask for angelic help balancing your solar plexus chakra. Relax, breathe, and focus inward to tune into the presence of Archangel Uriel, who when called upon will come in to assist you. Drink peppermint, chamomile, dandelion, or ginger tea. Do a yoga pose aimed at strengthening your core. Poses like warrior I, boat, or yogic leg lifts are great to balance your solar plexus, as are several rounds of sun salutations each day. Keep stones and crystals either on your person (like jewelry), in your home and leave some in your workspace. Those most effective crystals for balancing your third chakra include amber, citrine, tigers eye, sunstone, yellow calcite, and yellow tourmaline. Make an effort to dress and groom yourself well. Take a shower, get ready, style your hair and do your best to approach each day as being special by taking the time to nurture and care for yourself. Eat healing solar plexus foods like sunflower seeds, bananas, organic corn, ginger, yellow squash, oats, yellow pears, lemons, lentils, sweet potatoes, and yellow peppers. Incorporate spices and herbs like cumin, mint, turmeric and chamomile into your cooking. Set a goal that you’ve been putting off for some time, break it down into small steps, and give yourself a timeline for each. The idea is not to be rigid, but to get yourself moving and taking action towards something tangible. When you succeed, reward yourself. Enjoy some alone time to relax and just be with yourself. Set aside a few minutes each day to sit still and tune in to your body and emotions. Alone time can be a great way to self soothe and balance your solar plexus chakra. As with all the blocked chakras, dancing, yoga, and movement are fabulous ways to get your energy moving. Put on some music you love and dance around your living room or take a walk around the block to get your energy flowing. Get some exercise, and push yourself a bit. Whether it’s yoga, gym workouts, or outdoor adventure activities. Citrusy essential oils like grapefruit, orange, or lemon are perfect to use to balance your solar plexus. Put them in a diffuser or dab them on your skin each day. Other solar plexus healing essential oils like ginger, black pepper, cinnamon, chamomile, juniper, yarrow, rosemary, palmarosa, and fennel are also effective. Be spontaneous and try something new! This doesn't have to be anything big to start, even little new experiences like trying a new restaurant, going into a new shop, visiting a park you've never been to or checking out a local art exhibit can shake up the energy and bring healing to your solar plexus. Spend time outdoors in the sunlight. Whatever the activity, try to do it while getting some sunshine. Meditation, yoga, reading, writing, or even just laying out…. Spending time outside in the sunshine will help to heal and balance your sacral chakra. When faced with a major life decision, don’t let yourself get overwhelmed by the big picture. Break things down into small steps. Go slow. Build up to your final decision over time, while being gentle with yourself during the process. Look for opportunities to take on a leadership role. Perhaps at work, within the family, or in your community, take steps to be more confident and assertive yourself, and then use these qualities to lead and guide others in a positive way. Listen to your intuition! Ignoring your gut feelings and intuitive nudges can cause all of your chakras, and especially your solar plexus to become blocked. An easy solution is to listen to your gut and start taking actions in accordance with your intuitive nudges. Set a goal slightly beyond your comfort zone and allow yourself to reach for it. This kind of controlled risk-taking is a great way to strengthen the solar plexus chakra. Really, all of your chakras work together to bring about a state of health and vitality. Balancing your entire chakra system will help to resolve blockages or imbalances in any one chakra. Are Your Chakras Out of Balance? Take The Chakra Test! Chakra Meditation with Archangel Uriel!